Alex Freeman discusses why innovation is not new and asks if business and government leaders have an entrepreneurial mindset in the first article in a series on innovating across your organisation. It’s a perpetually growing “innovate-or-die” narrative. What is interesting about this statement is that innovation has been positioned by Turnbull and received by the nation as though it were a newly discovered treasure. At least as far back as the 1940’s, economist Joseph Schumpeter used the beautifully Darwinian term “industrial mutation” to explain the macroeconomic evolutionary change that is generated by the revolutionary “creative destruction” caused by the innovation of our business leaders. The excitement about innovation is because the prime minister’s statement gives business leaders confidence. Political leaders are listening and business leaders are encouraged, which means new government policies will better support innovation. The question is will we get the full benefit of these changes? Once the policy settings are optimal, can all business leaders generate revolutions? Do they necessarily know how to innovate? The answer to this question was made apparent at the recent Policy Hack event. Policy Hack was a brainchild of newly appointed Assistant Minister for Industry, Innovation and Science, Wyatt Roy. The concept is a refreshing approach to community engagement but it is also about opening the minds of senior government officials to entrepreneurial ways of thinking. About 50 per cent raised their hands to acknowledge their first-timer status, which is remarkable when you consider half the audience were entrepreneurs who have almost certainly been to a hackathon before. That means almost none of the government officials had been to a hackathon previously. That’s not an indictment on those people, it simply illustrates there are a lot of senior government and business leaders who do not have a complete grasp of how innovation can be done. 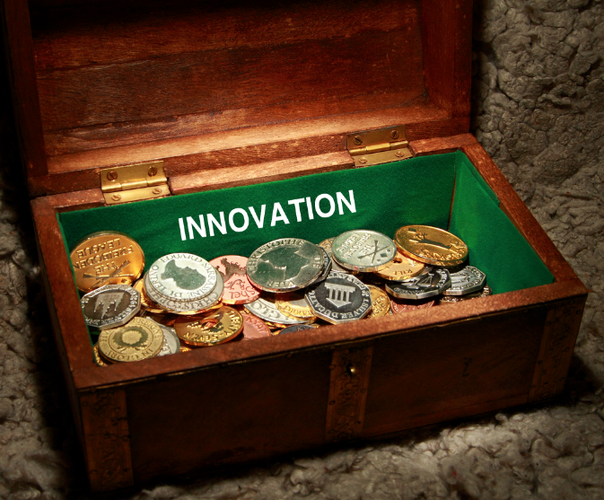 They may still be able to innovate but do not have a complete suite of tools in their innovation arsenals. Over the next few weeks, CIO will publish a series of ‘how to’ articles with step-by-step instructions and advice on how you can drive innovation across your business. This guide will begin by explaining the 5 stages of any innovation program. We will then discuss the 10 types of innovation and highlight which ones have the strongest correlation with business success. Finally, we will discuss when it’s the right time to innovate and present a case study of how a large enterprise organisation set up a structured innovation program. Alex Freeman is one of Australia’s leading business growth and innovation experts. He is CEO of CloudCo.Asia. You can chat to him on Twitter.